This magnificent bird has adapted well to urban life, using our tall buildings and monuments as perches and even our long strips of highways as hunting grounds. Hawks are not game animals, so they can’t be hunted. 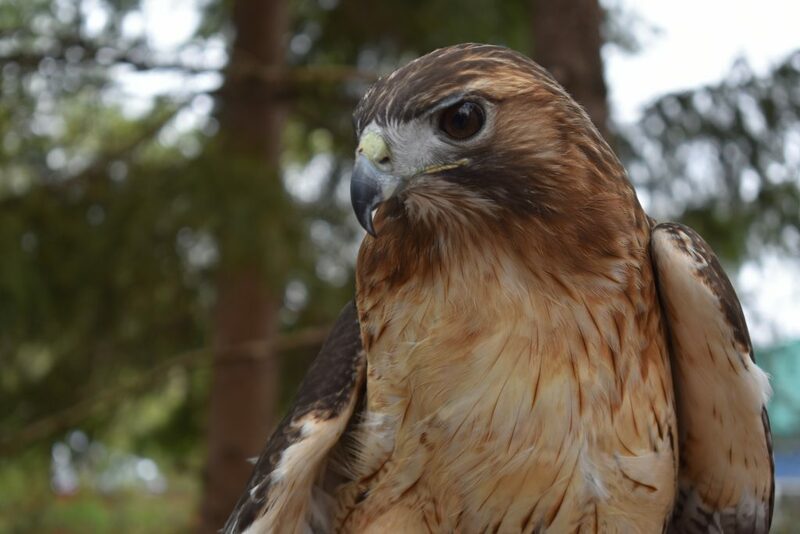 Anyone killing a red-tailed hawk is subject to a large fine. 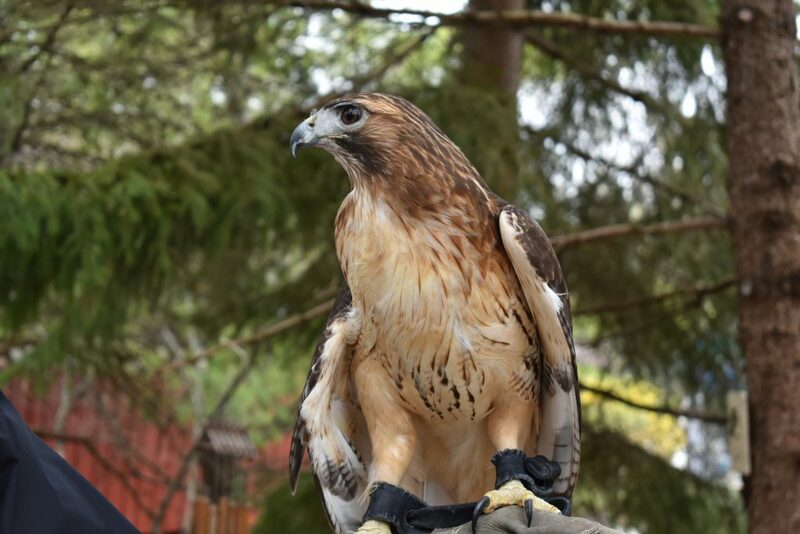 The red-tailed hawk has a sharp, curved beak that’s used to tear its prey into pieces for eating. The bird has great eyesight, which helps it see prey on the ground while its flying high overhead. Red-tailed hawks are often seen soaring in wide circles high over a field. When flapping, their wingbeats are heavy. In high winds they may face into the wind and hover without flapping, eyes fixed on the ground. They attack in a slow, controlled dive with legs outstretched — very different from a falcon’s stoop.